Optima Foods Corp. has succeeded in farming 50000 non-poisonous fish of the "takifugu rubripes". ©　More TAKIFUGU in the WIKIPEDIA ! 242 exhibitors from altogether 18 countries presented their latest product developments and trends to 13,690 visitors in the Tokyo Big Sight exhibition centre from 7–9 October 2009. Although the 1,461 m2 occupied by BioFach Japan and Natural Expo this year was less than the year before, this did not adversely affect the satisfaction of the exhibitors. Due to the strong trend to natural personal care and eco-textiles, special areas had already been created for these ranges in 2008. In 2009, 24 exhibitors presented their latest creations from the textile segment in Cotton Street and the Natural Personal Care Area attracted 28 exhibitors of natural cosmetic products. Around 30 winegrowers enhanced the event with their wines from certified organic grapes. The next BioFach Japan and Natural Expo take place in the Tokyo Big Sight exhibition centre from 21–23 September 2010 . 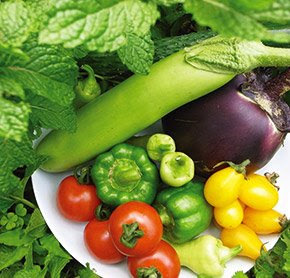 “Organic is not a label, it is an attitude. This quote from one of our exhibitors clearly confirms that organic is a question of attitude and organic customers remain loyal – even at times of crisis. 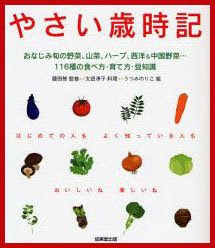 The Japanese organic event convinced exhibitors and visitors for what is meanwhile the ninth time. Okayama Tenobe Soomen 岡山手延素麺 has started to sell these handmade noodles in a set for easy home cooking. Also chasoba 茶蕎麦 "tea noodles". During the war in South-West Japan 1877 the castle of Kumamoto was sourrounded by the troups of Satsuma. 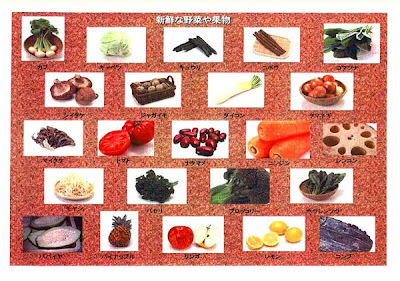 The Satsuma soldiers used roof tiles to prepare their vegetables and meat. 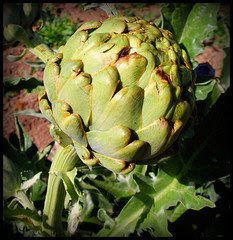 This is the origin of this food preparation. Kyoto farmers started pickling thinly sliced turnips (senmaizuke　千枚漬). They will pickle about 500,000 turnips until April 2009. 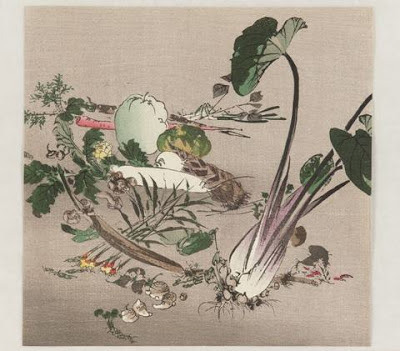 The pickling of turnips, known as "senmaizuke", began in Kyoto on Tuesday, the first day of winter according to the traditional Japanese calendar. One of the city's culinary specialties is made from shaved "Shogoin" turnips. The turnips get sweeter as nighttime temperatures start to drop around this time of year. Workers at a pickle factory peeled the turnips, which are 20 centimeters in diameter and weigh about 2 kilograms each, and shaved off slices as thin as 2.6 millimeters using special planes. They arranged the shaved turnips in wooden barrels in fan shapes, and then sprinkled salt on them. The turnips are taken out of the barrels after 3 days and soaked in a soup stock with kelp. A typhoon in September delayed the seeding of the turnips, but a good harvest came in this year. The factory's foreman says the work is hard because the entire process must be done by hand. He says he hopes that the pickles will become more delicious as temperatures drop and sweeten the turnips. The peak of pickling will come next month. The festival is being held to raise awareness toward building a multilingual and multicultural community. Ethnic food, including rice cakes, Portuguese churassco, Mexican tacos, and Indian curry will be sold, as well as folk crafts and handmade accessories. There will also be live performances of Philippine songs, dances, Peruvian folk dances, and workshops on African dances and balloon art. The venue is Okazaki Park, which is a 10-minute walk from Higashiyama Station on the Tozai subway line. The winner today ate 383 cups of buckwheat noodles. 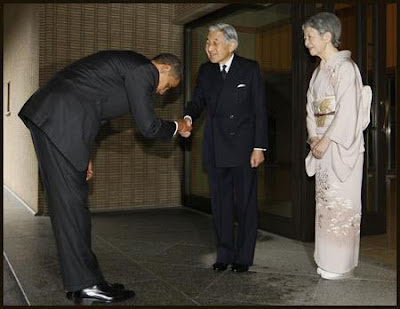 But he probably revealed his true colors Monday while talking about meals at cheap "izakaya" pubs in Tokyo, drawing strong reactions from thousands of pro- and anti-Aso users of 2channel, the country's largest Internet forum. "Meals (at the pub) were something like 'hokke no nitsuke,' " Aso told executives of the ruling Liberal Democratic Party during a meeting Monday, according to major daily Mainichi Shimbun and Kyodo News. "Hokke" is a kind of mackerel that is rather cheap but quite substantial, and therefore a favorite of those trying to fill their stomachs with low-budget pub fare. "Nitsuke" means fish simmered in soy and sugar, a home-style dish for common folks. But at a pub, at least in the Kanto region, hokke is usually grilled and never nitsuke style. Thus the combination of hokke and nitsuke that Aso mentioned sounded very strange to many people, and gave the impression that, while pretending to understand the cuisine of common people, Aso has no actual experience of eating such food at inexpensive pubs. 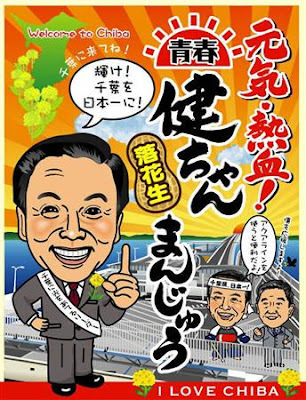 "Do you judge (the value) of a prime minister by hokke no nitsuke or bars at hotels? It's stupid," said another anonymous message on 2channel posted Tuesday. Australian beef exports to Japan dropped about 8% from a year ago in October. Japan plans to call for halving bluefin tuna catch quota in the Eastern Atlantic and the Mediterranean at an annual meeting next week of the International Commission for the Conservation of Atlantic Tunas, government officials said Thursday. The plan comes after the ICCAT scientific committee in October ruled that 28,500 tons of bluefin tuna catch quota in the waters for 2008 is excessive and recommended that the quota for 2009 be halved to less than 15,000 tons to prevent a fast decline in tuna stocks. The 50 per cent cut in the quota is expected to affect Japanese consumers. Japan's bluefin tuna catch quota in the ICCAT-regulated waters for 2008 total 2,430 tons and could be reduced to 1,300 tons in 2009 under the Japanese plan. Chinatown in Ikebukuro　東京池袋の中華街 ? A local group is trying since April 2007 to organize the 200 Chinese enterprises around the West exit of Ikebukuro station to form an official Chinatown. Many Chinese students live in this area since 1980. But many Japanese store owners oppose this plan. Half the world's population could face a shortage of clean water by 2080 because of climate change, experts warned Tuesday. Wong Poh Poh, a professor at the National University of Singapore, told a regional conference that global warming was disrupting water flow patterns and increasing the severity of floods, droughts and storms — all of which reduce the availability of drinking water. Wong said the U.N. Intergovernmental Panel on Climate Change found that as many as 2 billion people won't have sufficient access to clean water by 2050. That figure is expected to rise to 3.2 billion by 2080 — nearly tripling the number who now do without it. 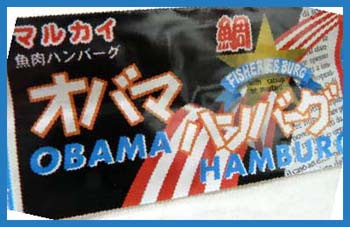 and more HATOYAMA snacks !
. 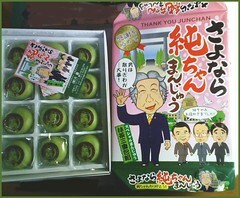 . . CLICK here for Photos about polititians and Manju sweets ! 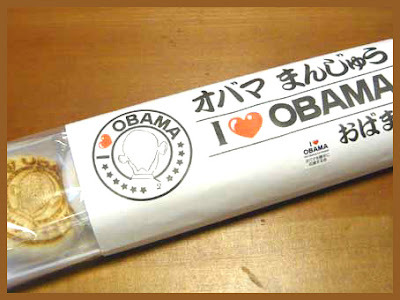 From the town Obama in Japan 福井県小浜市. Donald Trump and his "friends"
Their number has greatly fallen this year from 6800 sightings in November last year to only 128 this year. The reason is unclear, dirt in Chinese waters, global warming or not enough food left for them. Two new drinks of a shochu liqueur with carrots and apples. Japan begins to import whale meat from Iceland. This year, UDON are eaten to "pass over into the new year" (toshikoshi udon 年越しうどん). 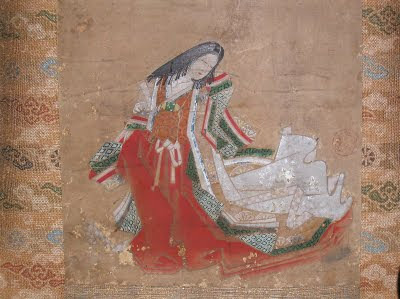 Some are only decorated with red carrot pieces, pickles salted plums (umeboshi) and some green for the "pines on the gates" (kadomatsu) decoration of a home. A panel of the Cabinet Office on Nov. 25 made public a report on a scandal involving the reselling of contaminated rice for human consumption, which had surfaced in September 2008. The report said officials of the farm ministry lacked a sense of responsibility for their role in ensuring the safety of food for people. As a result, the ministry has disciplined 25 high-ranking officials. The government now should strive to restore people's trust in food safety by taking concrete action. The nation has seen a series of food safety-related scandals since January 2008, including contaminated "gyoza" dumplings imported from China and falsified labels for eel and other products from China that made them look like they originated in Japan. The rice, contaminated with pesticide residues and mold toxin, was part of accumulated "minimum access" stocks imported from China, Vietnam and other countries under 1994 world trade rules. The farm ministry sold the rice on the condition that it be used for non-edible purposes only. But Mikasa Foods in Osaka and a few other companies resold the rice, knowing it would be used for human consumption. 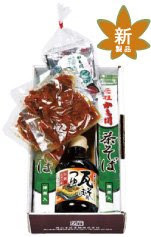 About 390 entities bought the rice and some of them, including shochu liquor and snack makers, had to recall their products. will hold a Festival of Traditional Japanese Things, including serving Japanese food on January 25 in Suita, Osaka. The battle over a bluefin tuna that sold for ¥9.63 million at the first auction of the year at Tokyo's Tsukiji market, the highest price fetched in eight years, ended when the Japanese and Chinese bidders agreed to share the fish, market participants said Thursday. Ricky Cheng Wai-tao (left), manager of a Hong Kong sushi chain, celebrates with rival bidder Yosuke Imada (center) Monday at Tsukiji fish market in Tokyo after they agreed to jointly buy a tuna for .63 million, the highest price in eight years, in the first auction of the year. Yosuke Imada, the 63-year-old manager of the prestigious sushi restaurant Kyubey in Tokyo's Ginza district, and Ricky Cheng Wai-tao, the 41-year-old Chinese manager of the Itamae Sushi chain in Hong Kong and elsewhere, each took half of the fish, which was caught off Oma, Aomori Prefecture. The tuna was cut in two at the market immediately after Monday's bidding, with one half transported to Hong Kong and the other to Ginza. One piece of "otoro" sushi, using the fattest portion of the fish, costs around ¥1,100 in Hong Kong restaurants and ¥2,000 in Ginza. Yukitaka Yamaguchi, 46, a longtime middleman for Imada who also started to work with Cheng last year, found himself in a quandary after both asked him to buy the top fish "at any cost" in the auction. 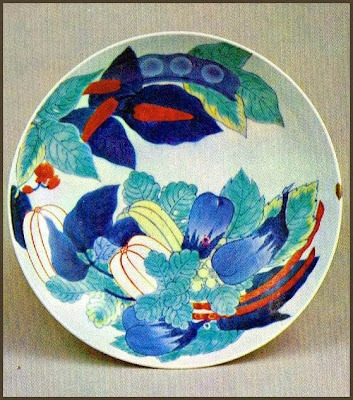 Summoning both of them to a hotel bar in Nihonbashi, Tokyo, on the eve of the auction, Yamaguchi suggested they jointly purchase the fish. A new fad with the ladies for a beautiful tsuru tsuru skin. Now FamilyMart Co. has started selling collagen nabe at its 7300 outlets across Japan on Nov. 18. The merit of collagen eaten as food to improve the skin contidion is discussed by the scientists. The famed Tsukiji Fish Market in Tokyo will allow tourists to resume watching its early-morning tuna auctions from Jan. 19 after a monthlong ban instituted in mid-December ends on Jan. 17, Tokyo government officials said Saturday. Although the gigantic fish market in Chuo Ward run by the Tokyo Metropolitan Government has established a worldwide reputation through its own promotions, it put a 34-day ban in place on Dec. 15 to keep away "ill-mannered tourists" — most of them from abroad. The market also cited hygiene risks and interference from curious onlookers attempting to touch the tuna and take flash photos — nuisances often raised by the auctioneers. The ban also came in conjunction with the busy tuna trade before the New Year holidays. According to the metro government, more than 500 tourists come to watch the tuna auctions at 5:30 each morning, and more than 90 percent of the visitors are from overseas. Long used as a spice in cooking, "shoga" (ginger) is now being added to caramel, cocoa, vegetable juice and "happoshu" beerlike drinks. Kuracie Foods Ltd., a Tokyo-based sweets and ice cream manufacturer, marketed a new product called Ginger Cube in September. Each pack consists of eight caramel cubes containing condensed ginger extract. People consuming the entire pack ingest 15 grams of ginger, which boosts body warmth, the company claims. The sugary taste of caramel and the spiciness of ginger blend in the mouth so that even men who are not fond of sweets like the product and do not tire of it, said Minori Tsuda, who is in charge of developing the product. Major beer maker Asahi Breweries Ltd. has released Ginger Draft, a combination of ginger and happoshu that the company says keeps the bitter taste of beer at bay while providing a refreshing, hot and spicy aftertaste. Takayuki Fukutomi, the company official in charge of the new drink, is targeting Ginger Draft at young people who are already familiar with ginger in cocktails. Also on the market are Shoga Cocoa produced by Bourbon Corp. of Kashiwazaki, Niigata Prefecture, and Hachimitsu Shoga Aojiru (honey ginger green juice) made by Kirin Yakult NextStage Co. based in Tokyo. Nagatanien Co., a Tokyo-based food product maker, began marketing a cup of soup called Hieshirazu san no Shoga Series (ginger series of soups to warm people up) in 2007. The product captured the hearts of young women plagued by poor circulation. Total sales amounted to about ¥400 million in the initial year. The company now has a "ginger section" that grows ginger and researches its effects. The section also provides information on its research and recipes.